YRK: Due to blood loss caused by massive injury, and lack of access to the units in the sieged region, comrade Rojhelat embraced martyrdom in the path to freedom. 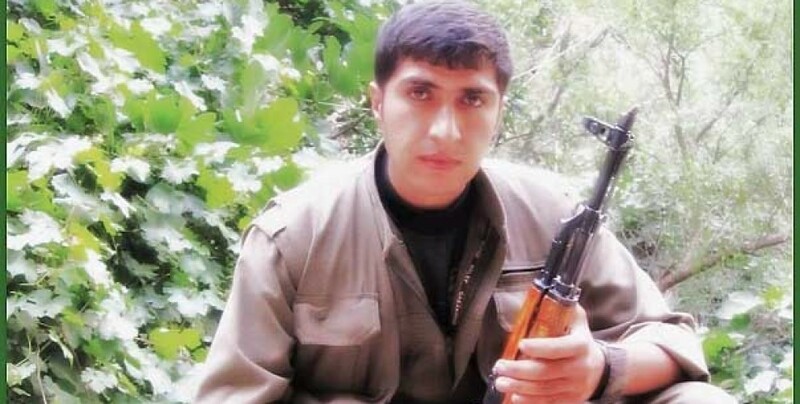 The News Agency of Eastern Kurdistan published the details of another martyr in the conflict with the terrorist elements of the revolutionary guards. In the wake of the massive military operation that was carried out by the terrorist elements of revolutionary guards against our forces on 16th September 2018, we outlined the details of following three martyrs with the public: Comrades Karzan, Sana and Delovan Fadai. We reported that the fate of another comrade was unknown. After further investigation on the military operation against our units and concluding the comrade’s location based on the gathered data, it was found that the fourth comrade was martyred in battle due to blood loss in a blockaded area. It was impossible for the fallen comrade to communicate with our units due to substantial blood loss and injuries. Time and place of birth: 1988 – Bokan. Time and place of martyrdom: 16th September 2018, Sine. YRK expressed their sympathy with the family of the martyr and Kurdistan and emphasized that until the day freedom is realized, the struggle will continue in the path that was paved by the martyrs.